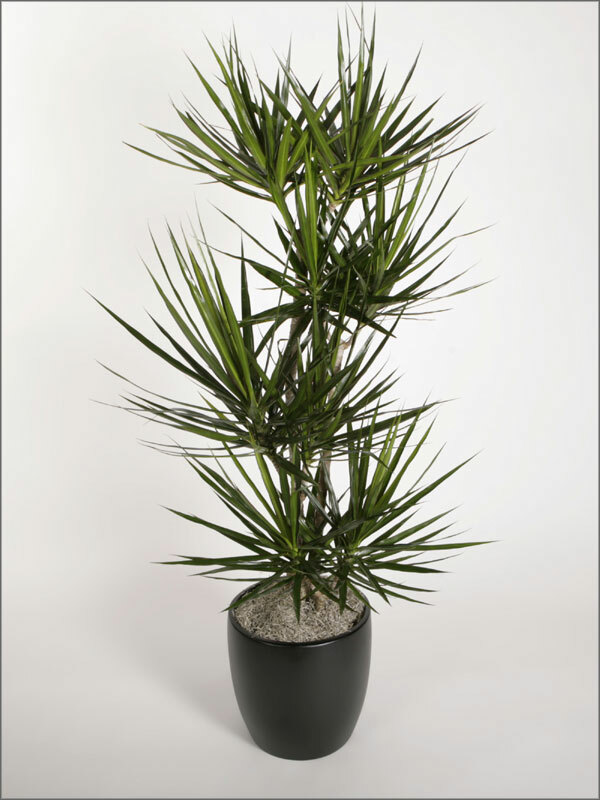 Dracaena Marginata, or more commonly known as the Dragon Tree, is one of the most versatile plants one can incorporate into their interiorscape. 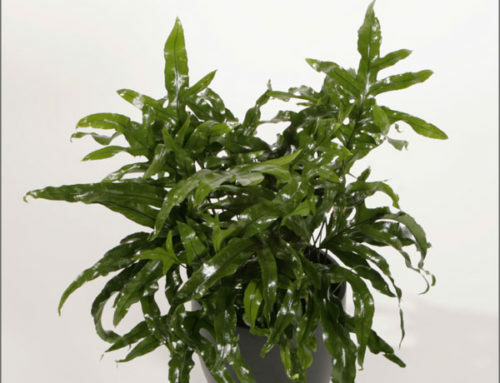 This plant is grown for its dramatic foliage and is a popular ornamental plant. 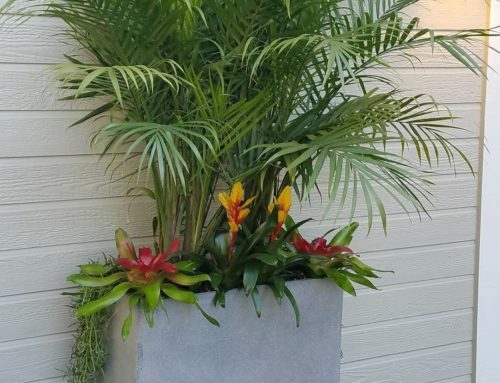 These are drought-tolerant plants with aggressive root systems that make excellent indoor and outdoor plants. They can grow to be as large 10-12 feet tall if given the space. The Dracaena Marginata often has a straight, bare stem topped with a cluster of half-inch wide arching leaves. Colors can vary but often time it leaves are a deep green with thin red margins. In spite of its appearance, this tree is not a palm. Dracaena Marginata is part of the genus of about 40 species of trees and succulent shrubs called Dracaena. Even as the D. Marginata matures, it is a unique sight as when its leaves age, they turn yellow, dry up, and fall off. Afterwards, attractive triangular scars are left where they were attached to the woody stem. 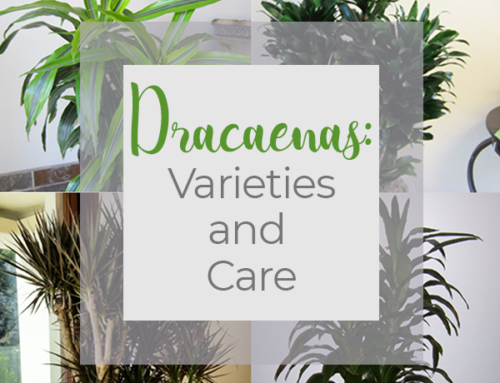 When grouped with other Dracaenas or flowering plants, this gives a sense of seasonality with a changing point of interest to the eye. 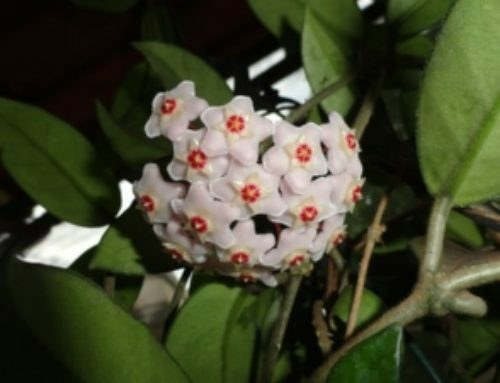 Browning on the tip of the leaves often indicates overwatering, a common mistake when caring for this plant. This tree needs a thorough watering followed by a thorough drying out. Consequently, in low light areas, it may be necessary to only water every two to three weeks. 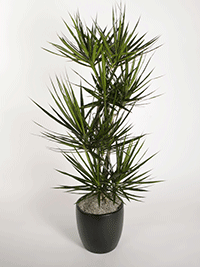 Dracaena Marginata, specifically, is more tolerant of variable room conditions than other Dracaenas. It is able to survive in both low and full/direct light environments, as well as full, direct sunlight. 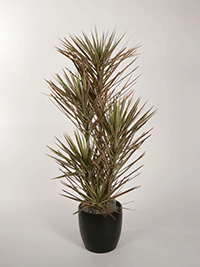 Plantopia technicians are trained to keep the D. Marginata thriving in your home or office. Contact us today to speak with an expert technician for advice or an installation of your own.